It’s Revolution, Baby? | My Name Is Benwizzi, I Am A Tech Nerd. My Name Is Benwizzi, I Am A Tech Nerd. My obsession with technology needs an outlet so I will unleash it unto you. (I am in no way a writer or journalist–This is a work-in-progress). Hey there! Thanks for dropping by My Name Is Benwizzi, I Am A Tech Nerd.! Take a look around and grab the RSS feed to stay updated. See you around! Nothing to see here. Huh, you say? 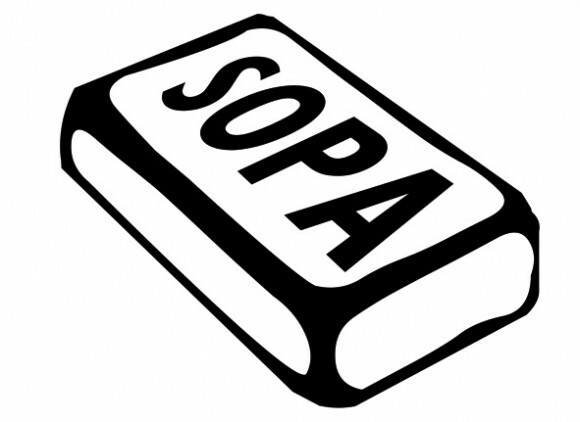 Being anti-SOPA and PIPA is about the worst thing you can be. Being anti-anything is the worst thing you can be. Since when does focusing on the problem, solve anything? What we give attention and energy to, adds a lot of power to that entity. We are fighting against all these causes and bills, when we should focus on the opposite. We should focus on hope and positivity. We need to focus on what is good and what brings us harmony. Not the other way around. But the “powers” that be don’t want that at all. They want division and separation. It clouds everyone’s judgement and distorts the intended goal. We need peace. And we all need to look out for each other. We don’t have a lot of time left. I don’t mean a 2012 conspiracy or prophecy. Well maybe I do. But I am serious here. This is not the time to bicker. I won’t go into specifics of both bills and the blackouts of certain websites in protest yesterday. Or the links to sign petitions, have your voice be heard, and to “protest” You already know all about that. I want to bring up something that may be lost on people’s minds. These bills are and were never going to be passed. We are in an election year. Just like 9/11, the economic collapse around 2008, and a multitude of major events were in an election year, to superficially bring us together. I have no evidence of this aside from instinct and intuition. (Those are two of the most powerful gifts we all have been given.) The last thing a candidate who is up for re-election needs is any lousy press of any kind. He or she will get that on their own. And I don’t do politics, so that’s it for me. I just want to give you some different food for thought. We are led like sheep to believe that all our protesting and signing petitions is going to do anything. Of course it will do a little. But no matter how many of us sign, these bills were never going to be passed through. A non-issue is brought up to divert us from other major problems and backroom deals that are being done. It’s nice to think that we have a say in the world. We once did. And maybe still do. But the same people giving us the problem are the same lowlifes giving us the solution. The fate of all this was predetermined. I still believe in peaceful revolution such as this. And we will do it because we want to, not because we are following the herd. If not then we are headed for the worst. And it may be our own faults but could just as easily, be a blessing. I could be wrong but my gut tells me otherwise. A huge thank you to Wikipedia (which protested for one day yesterday, January 18, 2012) for all the links and information. « Who’s Your Typical Android User… Look Here! Who’s Your Typical Android User… Look Here! NBA Season Has Arrived! Get Your Official NBA Sprint App!